A college education is key to going forward into a career of interest. Paying for college classes, textbooks, and fees can become expensive and can prohibit some students from taking college courses or working toward a degree. A degree is such an important component of education that it should not be hindered by inability to pay for tuition. In the state of Nebraska, there are many grants and scholarships available to assist with the financial aspects of college coursework, and students that qualify can apply for these benefits. Nebraska has several colleges and universities that provide a variety of programs of study. 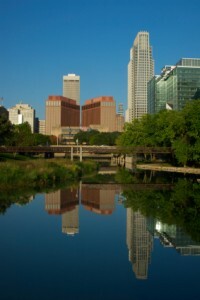 The majority of Nebraska residents live in the eastern portion of the state, near the cities of Omaha and Lincoln. As a result, this is where several universities and community colleges are located. The greater portion of Nebraska is dotted with small towns and farmland. There are several universities and community colleges also located throughout the rest of the state for students who are interested in applying for college courses. The University of Nebraska is an educational system with locations throughout the state. Students are also offered the opportunity to take some class work online if their home is especially far from campus, allowing continued participation in certain programs. Students should begin by filing the Free Application for Federal Student Aid (FAFSA), which can connect students with possible grants and federal aid that they may qualify for. Filing the FAFSA each school year is the first step in finding money for college. The application for the FAFSA can be found online, or students should contact the financial aid office at their school for more information. Various colleges throughout Nebraska offer scholarships for students who qualify. Students can receive information about the application process from their financial aid office. 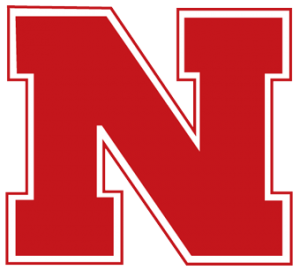 The University of Nebraska in Lincoln offers various scholarships based on academic standing, financial need, or other scholastic qualities. There are scholarships that are available for all university students, as well as some scholarships that are funded from the private sector. The Regents Scholarship provides full tuition for fulfilling a Bachelor’s Degree. The Regents Scholarship is available to freshmen in the University of Nebraska system who have a solid high school curriculum and who have excellent grades. Students must maintain a 3.5 grade point average in their studies to maintain the scholarship. Nebraska Top Scholars also offers a full tuition scholarship for Nebraska students who have excellent grades from high school. The Canfield Scholarship is a $4,000 scholarship that is given to incoming freshman students who qualify. Those that receive this award must maintain a 3.5 grade point average through their college career. The Davis Scholarship is awarded based on academic activities and financial need. The amount of the scholarship fluctuates, depending on the recipient. The Chancellor’s Leadership Class Scholarship examines the activities and qualities of incoming freshman and their high school performance and leadership skills. The University of Nebraska in Lincoln also offers a variety of scholarships from private sectors, as well as several based on cultural heritage. For further information about University of Nebraska-Lincoln scholarships, students should go to their website. The University of Nebraska at Kearney offers several scholarships that are unique to students that are attending the Kearney campus. Jean and Richard Rawson Scholarships are available to students that are starting as freshman in the system. The student must have graduated from a Nebraska high school, and must have a minimum score of 23 on their ACT. The Peter Kiewit Foundation Educators Opportunity Scholarship is granted to students who show academic achievement and who also are pursuing the educational goals of becoming a teacher. The amount of the scholarship award varies. Multicultural Community Service Scholarships are for those applicants who show demonstrated involvement in community programs of a multicultural nature. The University of Nebraska at Kearney grants a number of scholarships related to financial need and academic background. There are many available scholarships that are privately funded that students may apply for as well. Students who wish to learn more should contact the University of Nebraska at Kearney website. The Gerbracht Scholarship is given to a student who has a parent that is a faculty member at the University of Nebraska in Omaha. The Gerbracht Scholarship is based on academic ability and provides full tuition. The Dean’s Scholarship provides up to $4,000 for students who have demonstrated academic ability. Recipients must have graduated from a Nebraska high school, they must have received a minimum score of 26 on the ACT, and they must maintain at least a 3.5 grade point average throughout their college career. The G. Robert Muchemore UNO Scholarship is awarded to students who demonstrate financial need and who have graduated from a Nebraska high school. The scholarship covers full tuition. The University of Nebraska at Omaha has a variety of scholarships available for those students that are interested in applying. Students should contact the university for more information. Creighton University is a private college located in Omaha, Nebraska, that has various academic programs, with a strong background in health related programs such as nursing or allied health. Creighton offers several scholarships that are school based and those from the private sector as well. Several athletic scholarships are available in such areas as soccer, tennis, golf, baseball, and others. Students are awarded these scholarships based on athletic performance. The Family Scholarship is awarded to those families that have two or more members attending Creighton University. The scholarship pays $1,500 per year for those who qualify. Creighton University also offers a multitude of other private scholarships for students who wish to apply. The donated amounts vary and are based on several background factors. Students interested in applying for these scholarships should contact the office of financial aid for more information. Chadron College is a state college located in the western Nebraska town of Chadron. Chadron State College offers a variety of curriculum to award degrees in many fields. Students who specifically attend Chadron are eligible for scholarships and Chadron provides links to state and nationwide scholarship resources for students. Those interested in applying for financial aid through Chadron State College should contact the financial aid office. Doane College is a private school located in Crete, Nebraska that is centered on liberal arts studies. Doane offers scholarships based on academics and other activities, as well as links to privately funded scholarships. The Senator High Butler Academic Leadership Scholarship is for students who have demonstrated leadership qualities and responsibility to the community. The scholarship provides full tuition. The Doane Community Award provides $5,000 per year to students who have shown academic promise in high school courses by maintaining a minimum 3.0 grade point average in their classes and receiving more than a score of 21 on the ACT. Various scholarships are available for students who show high potential in the areas of sports, specifically golf, soccer, baseball, and several others. There are also scholarships available for students with art and theatre backgrounds, as well as those with journalism and media emphasis. Doane College offers information about privately funded scholarships to help offset the cost of tuition and fees. Students interested in applying for financial aid through Doane College should contact the admissions office. Wayne College, located in the northeast portion of Nebraska, is a state college situated in the city of Wayne. Wayne State College offers a variety of scholarships based on academic or sports abilities, as well as links to other general sites that offer nationwide college scholarships. Some of the areas with available scholarships are athletic awards, those based on arts and humanities, and education and counseling based scholarships. Students interested in applying for financial aid through Wayne State College should contact the financial aid office. Union College in Lincoln, Nebraska, is a private school that is associated with the Seventh Day Adventist Church. Union College offers various programs of study with an emphasis on academic excellence and career preparation. There are various scholarships and awards available. Union Merit Awards are given to qualifying students who have demonstrated academic excellence. These awards are granted to both incoming freshman and transfer students. The award amounts range from $5,000 to $10,000 per year. Student Missions and Taskforce Scholarships are for student missionaries and award up to $2,000. Union College has information about grants and scholarships available to students who qualify. Interested parties should contact Union’s website for more information. Not every student attends a university for his or her college education. Many receive quality education through community and technical colleges. Funding through scholarships and awards is available through Nebraska community colleges as well. Southeast Community College is a collection of three different campuses located in southeast Nebraska in the cities of Lincoln, Milford, and Beatrice. Southeast Community College offers programs including business, agriculture, health science and many more that will culminate in a useful Associate’s Degree. Many scholarships are available to offset the cost of tuition. The Southeast Community College Educational Foundation awards scholarships totaling $1,000 per year to assist students in continuing toward their educational goals. Southeast Community College also offers grant information and resources for various outside scholarships that are available. Northeast Community College, located in Norfolk, Nebraska offers class work in subjects ranging from accounting to welding. Their programs culminate in an Associate’s Degree for use to find challenging careers. Northeast Community College offers several scholarships for Nebraska students. The Northeast Community College Board of Governors Scholarship is granted to students who show excellence in academic achievement. The scholarship covers full tuition. The President’s Scholarship for Early Entry Students is awarded to students who have completed some college coursework while still in high school. Recipients must maintain a 3.25 grade point average through their work at the college. The award is equivalent to half-tuition for four semesters. Northeast Community College also offers information about scholarships that are available outside the college but that students may still apply for. Western Nebraska Community College has three locations in Nebraska: the cities of Scottsbluff, Alliance, and Sidney. Western Nebraska Community College offers an early enrollment scholarship for students that apply to the school. It is based on academic performance and grade point average, and pays up to $2,000. Western Nebraska Community College also has information about private scholarships that will help pay some of the costs of tuition. There are many scholarships that are available to students regardless of what school they attend. Many scholarships are obtainable that students may apply for that are based on financial need, background experience, or both. These scholarships are available to Nebraska college students. The Lincoln Community Foundation offers scholarships for college students that have various criteria to be met. These scholarships pay up to $2,000. The American Legion donates scholarship money for those college students who have a parent that is a military veteran or a member of the service who died on September 11, 2001. Several different scholarships are available online. The Nebraska Broadcasters Association grants two scholarships to students who are taking courses in broadcasting. The award is $1,500 and students must have graduated from a Nebraska high school or are attending a Nebraska college. The Scott Mecham Better Business Bureau Student of Integrity Award is granted to students who exemplify character and honest behavior. Students must be nominated for the award and the amount is $2,000. For students that are interested in applying for scholarships to pay for some of their tuition, books, and fees, every college has a financial aid office that they may contact to receive more information. There are many scholarships available that most students could utilize if they spent some time looking and applying for them. Another method of acquiring money for a college education is in the form of grants. The government of Nebraska offers grant money for education. Qualified students may apply for grants to receive money for tuition that does not have to be repaid. The Federal Pell Grant is one of the largest sources of government grant money that is used for college education. Students applying for Pell grants must demonstrate need and the grant money is awarded on an income or family contribution basis. The Academic Competitiveness Grant is for those students who have shown academic excellence and have taken coursework that is challenging. The Academic Competitiveness Grant pays up to $1,300. The Nebraska State Grant is available for students who show financial requirements and who are residents of Nebraska. Many schools throughout Nebraska offer grants in smaller amounts for students enrolled in their schools. For example, Union College, Creighton University, and the University of Nebraska college system all offer grants to qualified students that are attending their schools. Interested students should contact their financial aid department for information about how to apply for these grants. Paying for college does not have to come entirely out of pocket. College expenses have risen in recent years and are expected to continue to increase at all schools. The costs of tuition, books, fees, and housing can become very expensive and can deter some students from taking classes. Paying the necessary costs of tuition and expenses can be offset by available scholarships and grants for Nebraska students. For those who qualify, these awards can help make college more affordable. There are many awards available for students who will take the time to look and apply. The money for college can be found for those who look for it.